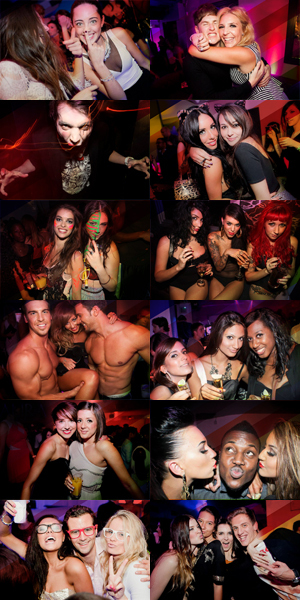 Libertine Nightclub - The Hottest London Nightclubs - Get on the Guestlist & Book a table! A new club has opened it’s doors in Fitzrovia, Libertine. Brought to you by the team who on the same premises previously launched Chinawhite. Although the layout is similar, do not be fooled there is a new vibe, opulence and glitz have taken over the atmosphere. Come and mingle with the VIP expected to frequent this club. Or if your preference is mixing with the catwalk models come on one of the days where a party for these soon to be Cara Delevigne’s and David Gandy’s are hosted. The discrete entrance to this club does not do justice to the sumptuous interior. This elegant venue is split into three distinct spaces including the sought after lounge room. The lights are reflected in the metallic upholstered banquets which creates a glamorous and energetic feel. Prepare to be blown away by the fifty foot screen which pulsates to the beat of the music. Famous DJs have been booked to perform at the venue so make sure you keep an eye out for your favourites. Whether you like house music, hip-hop or RnB you are bound to have a great night. If all this doesn’t wet your appetite enough slip behind the secret door into the molecular cocktail bar “Reason and Mankind” for one of their signature cocktails or a simple vodka. As the bar opens at five o’clock meet your friends their before hand to pre-drink in style and plot your night away. Make sure Libertine is top of your list for your next night out. Gather your most stylish friends and prepare to hit the town!